In a bowl take biryani masala, 2 table spoon curd , a pinch of turmeric powder, 1 table spoon salt and mix well. Add the mutton pieces to it and allow to marinate for half an hour. Now add the marinated mutton and saute well for 5 minutes. Add curd and stir well, add half cup water and salt just enough for mutton to cook. Now pressure cook mutton until it is tender. 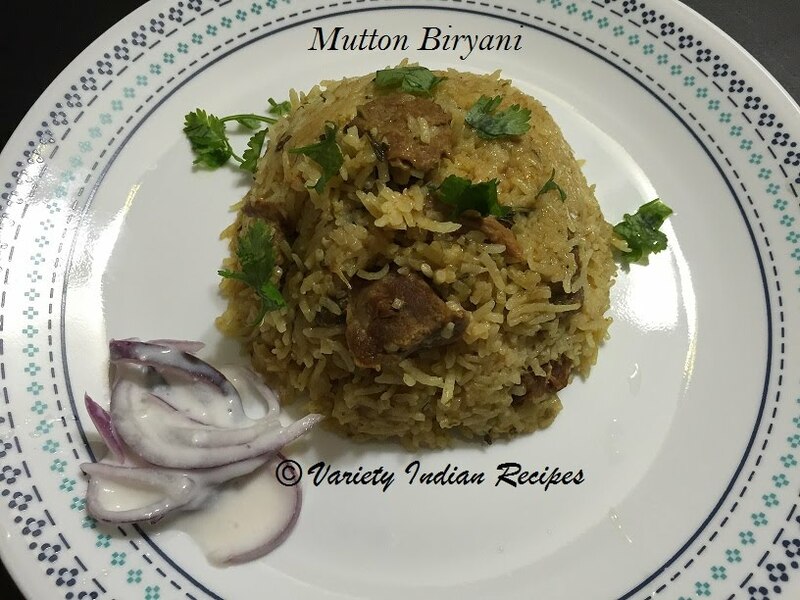 Once the mutton is cooked, add the soaked rice into it (along with water) and stir, add the required amount of salt for rice and allow rice to cook.